This 1961 34mm. ROLEX OYSTER PERPETUAL really looks crisp! The engine turned bezel adds interest to the 34mm. stainless steel Rolex Oyster case. The restored dial with its baton markers and hands in steel an an understated elegance. 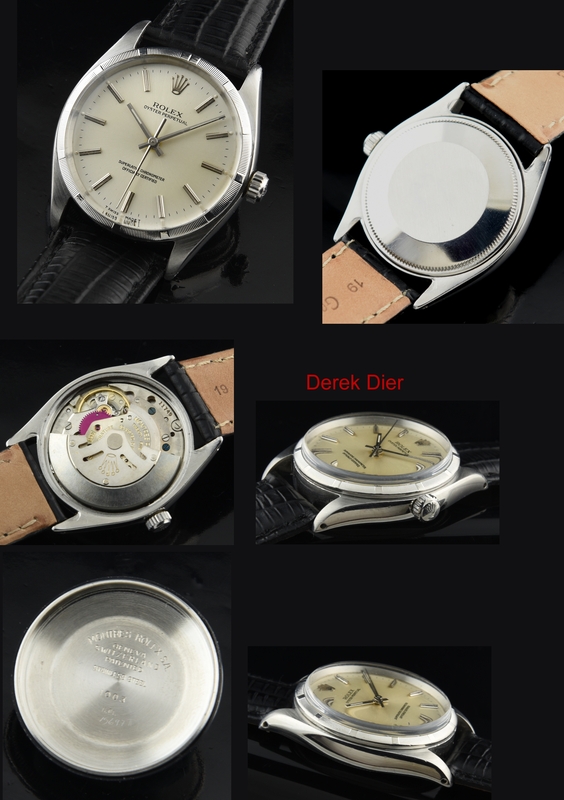 The automatic winding ROLEX movement was just cleaned an accurate. 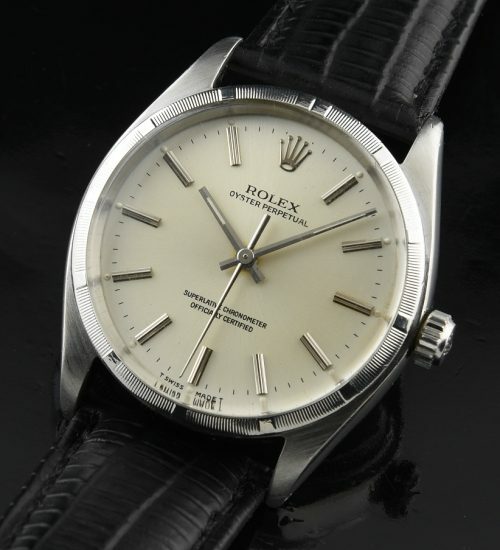 This is a very fine Rolex suitable to be worn daily.